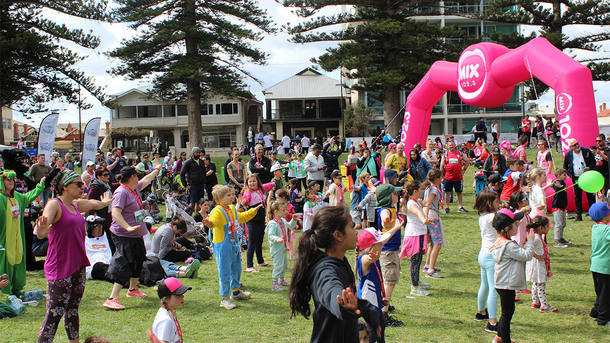 Perfect conditions greeted over 26,000-plus entrants for this year’s Sunday Mail presents Westpac City-Bay Fun Run. 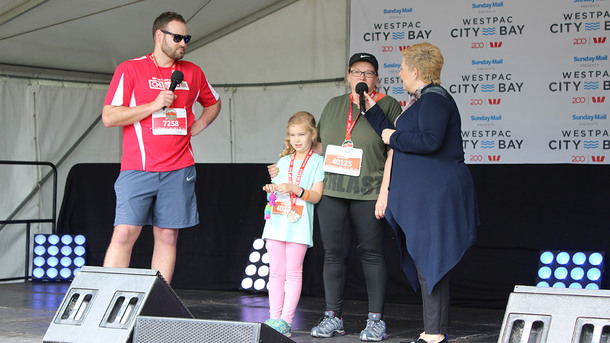 For the first time, the event welcomed a 21.1km half marathon to its course line up, plus the addition of our four-legged furry dog friends to the 3km walk from Morphett Road. In the 12km race, winner Jack Rayner came within five second of the race record with his time of 33 minutes, 47 seconds. Sinead Diver won the women’s race in 37 minutes, 54 seconds. 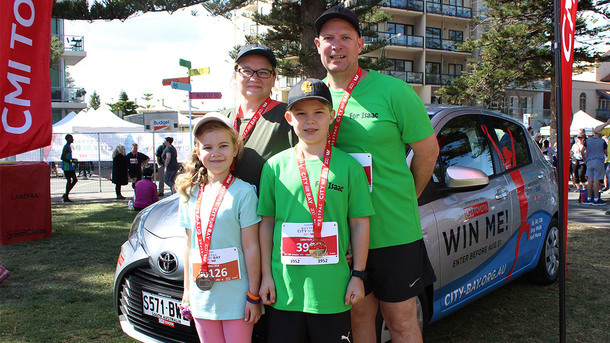 The half marathon was taken out by Paul Mulholland in one hour, 11 minutes, 21 seconds, while Aleesha Robertson triumphed in the women’s section. 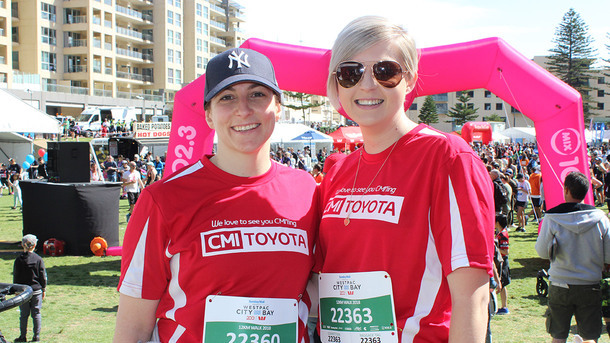 As long-term sponsors of this iconic South Australian event, CMI Toyota continued the tradition of giving away a brand-new Toyota Yaris to one lucky participant who had registered before August 31. This year we were excited to hand over the keys to the Mahoney family as 8-year old Saskia was the fortunate winner! Saskia’s mum Jacqui was extremely excited to receive our call earlier this month as it was actually Saskia’s birthday on the day they received the fantasticnews! 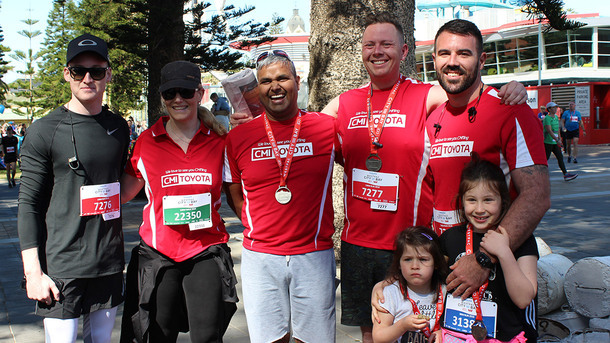 Well done to the CMI Toyota team who participated in this year’s event, with many even taking on the 21.1km half marathon. At the finish line, our team enjoyed a well-deserved BBQ breakfast and refreshments at the CMI Toyota Village site, which was a great place to debrief on their run or walk and enjoy entertainment from Libby O’Donovan.